It isn’t often you get a high quality fashion film feature from the 1930’s but Glamourdaze is delighted to present ‘Shoe Fashion – Time travel back to the 1930’s’. 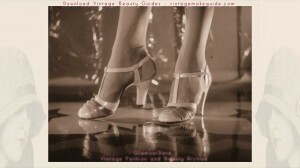 A sparkling fashion film featuring women’s designer shoes from the 1930’s. 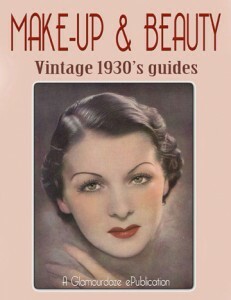 Download vintage 1930s beauty guides. I am currently making a 25 min film about shoes and identity for the University of Sheffield UK ( the project is called ‘If the Shoe Fits’ http://www.sheffield.ac.uk/iftheshoefits ) and I love all your shoe clips and wonder if I will be able to use a few them in the film and how I would be able to get hold of a full quality copies. I love your videos and I have mentioned your page on my blog. Thanks for sharing such beautiful things with us! Regards from Brazil ♡ !